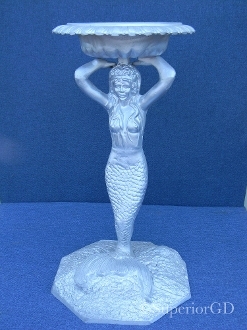 This beautiful mermaid birdbath stands 3’7″ tall.Custom paining is available for all products. This item ships freight. SHIPPING WILL BE BILLED SEPARATELY. PLEASE CALL FOR QUOTE. 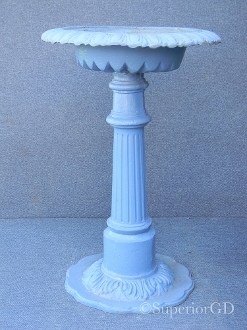 Ok to recieve future emails from superiorgardendecor.com?